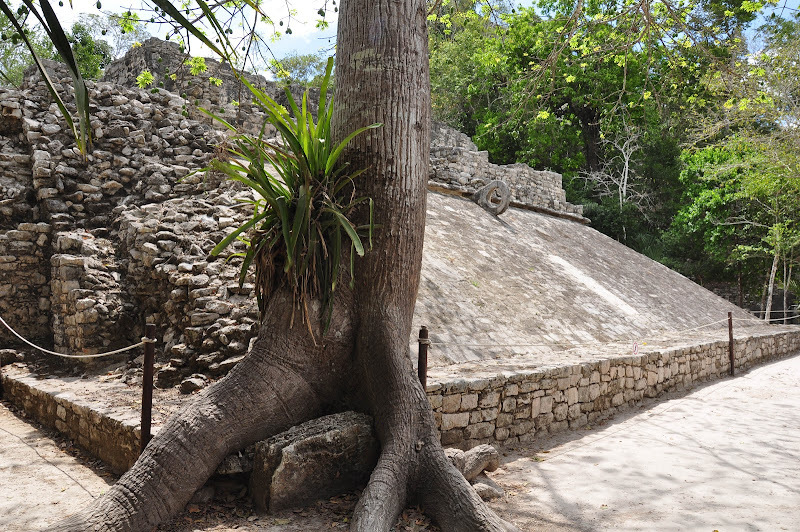 Archaeologists believe Cobá was one of the most important ruin sites on the Yucatán Peninsula. 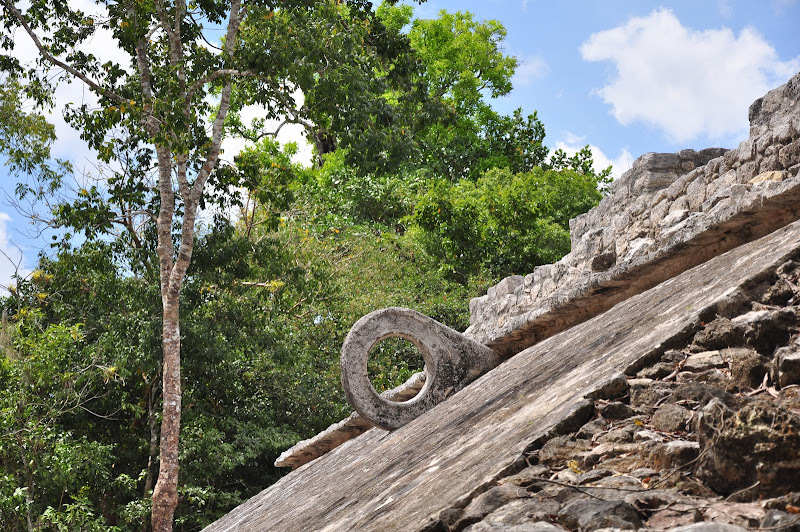 The design and purpose of this settlement was very different from other Mayan cities, with various settlements existing in one area. 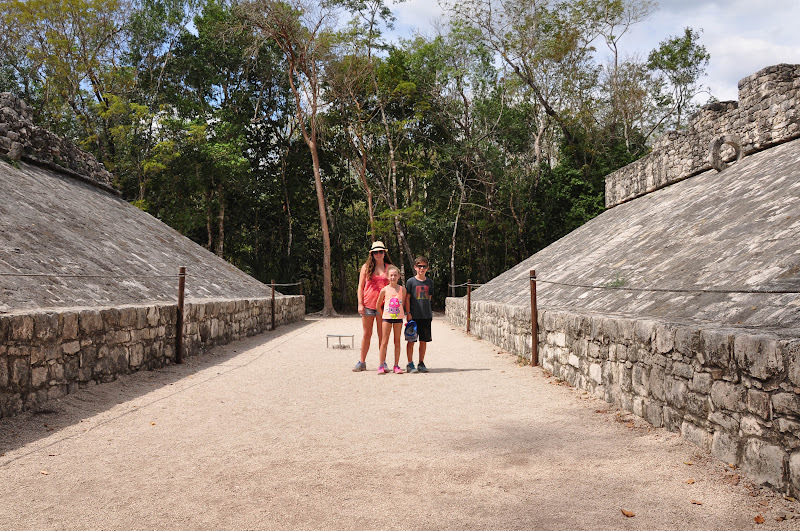 The white roads lead from each settlement to the main pyramid, Nohoch Mul. 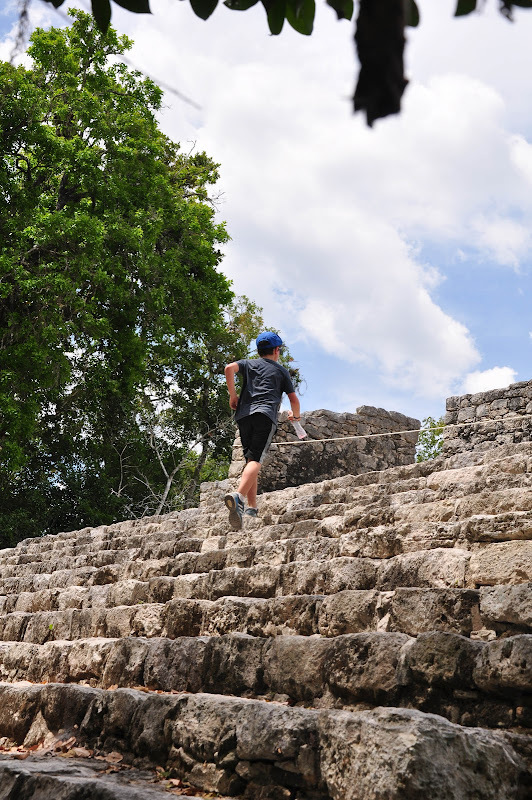 Cobá means ‘waters stirred by the wind’, an appropriate Mayan name as this settlement is surrounded by two large lagoons. 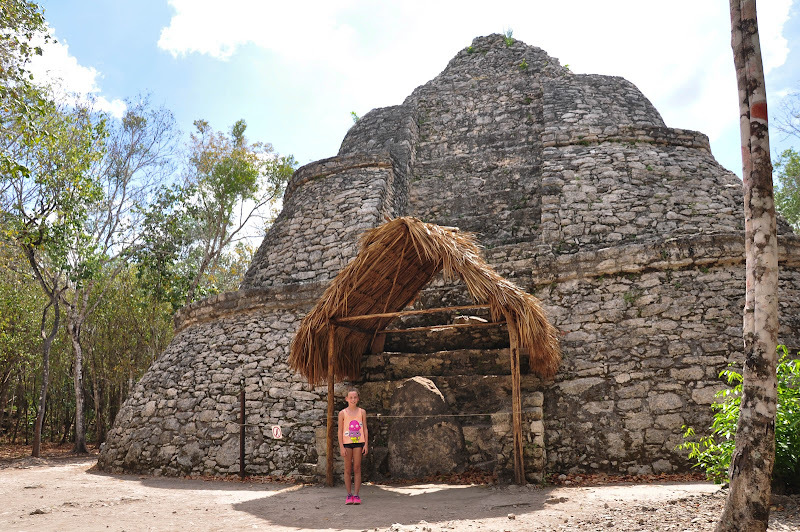 For many years Cobá was an ignored piece of Mayan history due to its location. 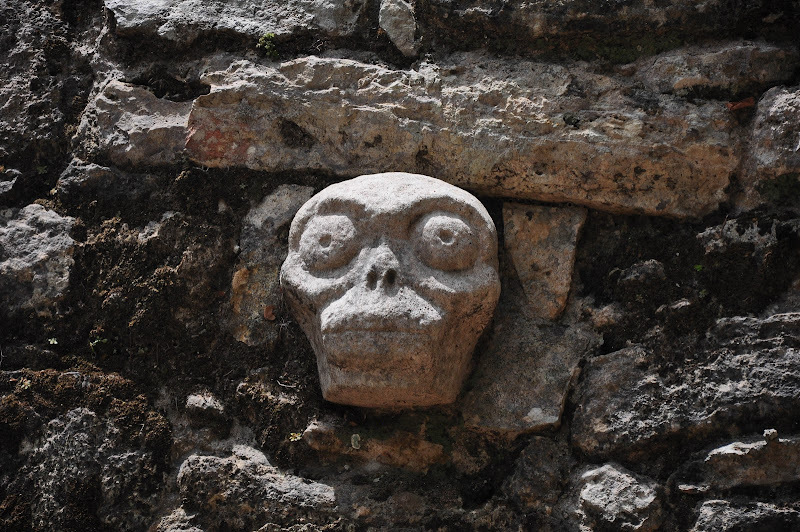 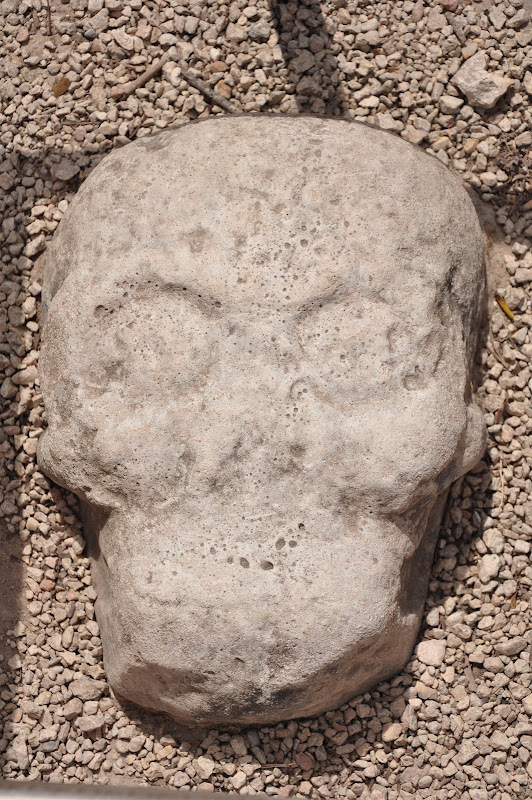 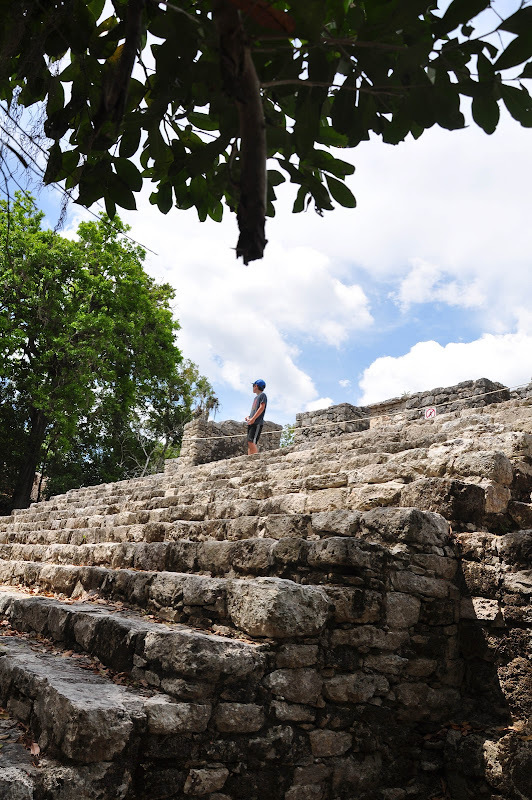 Located between Tulum in the state of Quintana Roo, and Valladolid in the state of Yucatán, archeologists first learned about the site in the mid 1800’s, but dense jungle, the Caste War and lack of funds made this site a difficult area to penetrate. 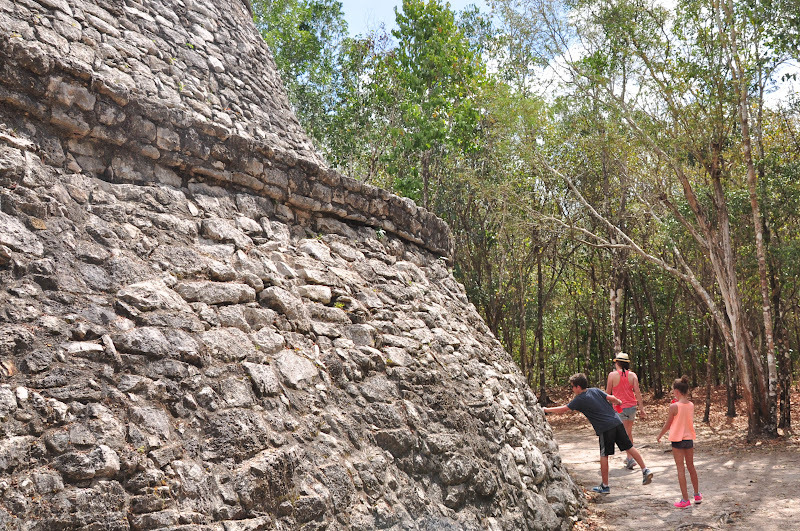 This Mayan site is still largely unexcavated making it a true wonder in the Yucatán. 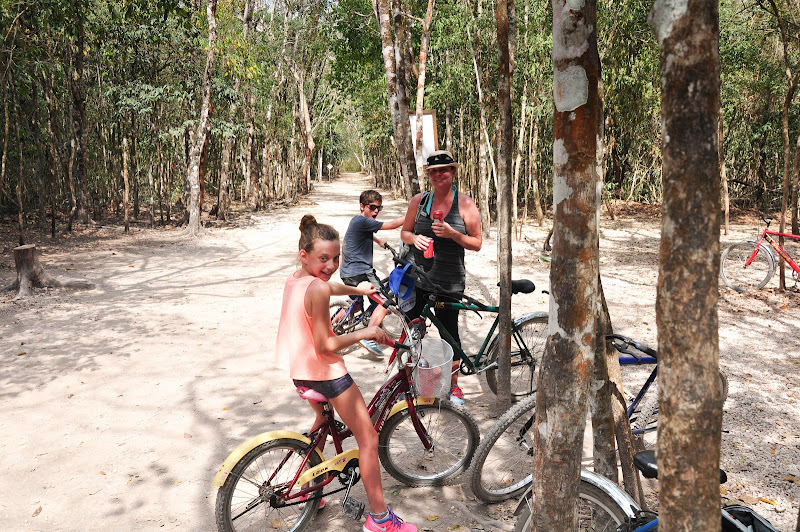 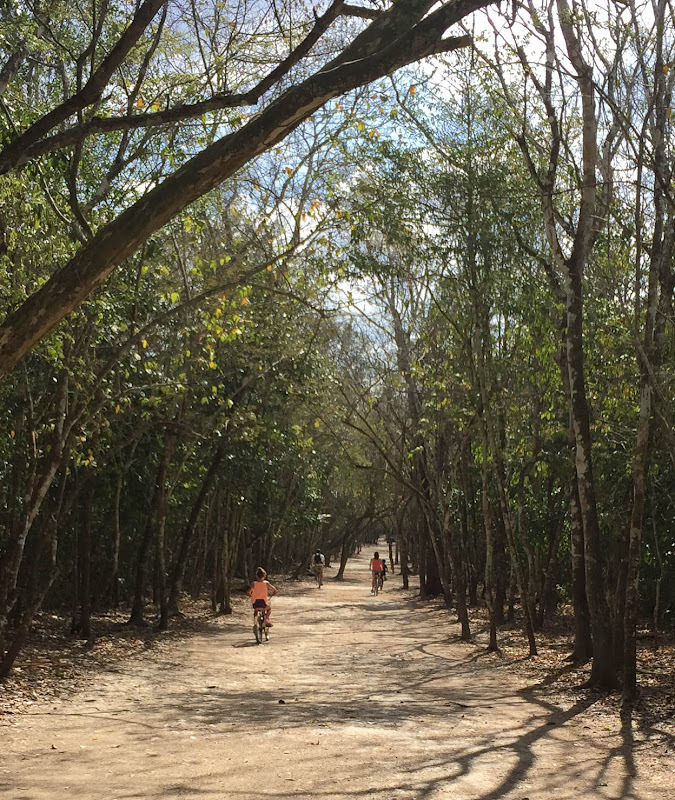 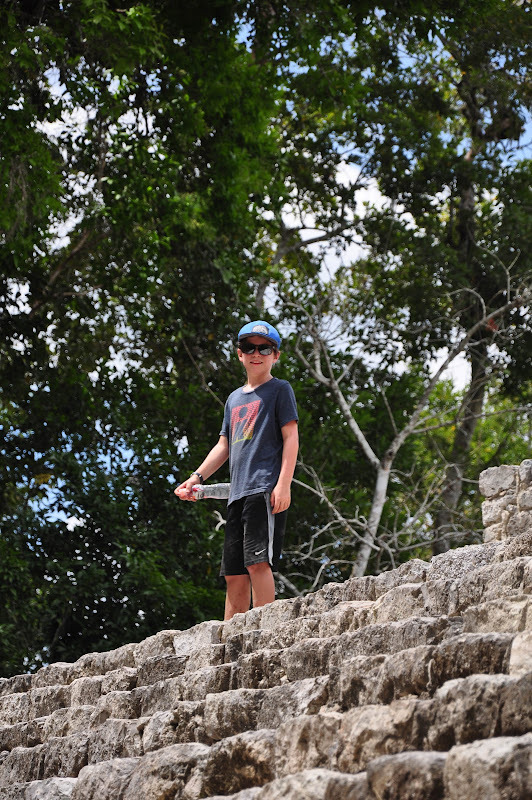 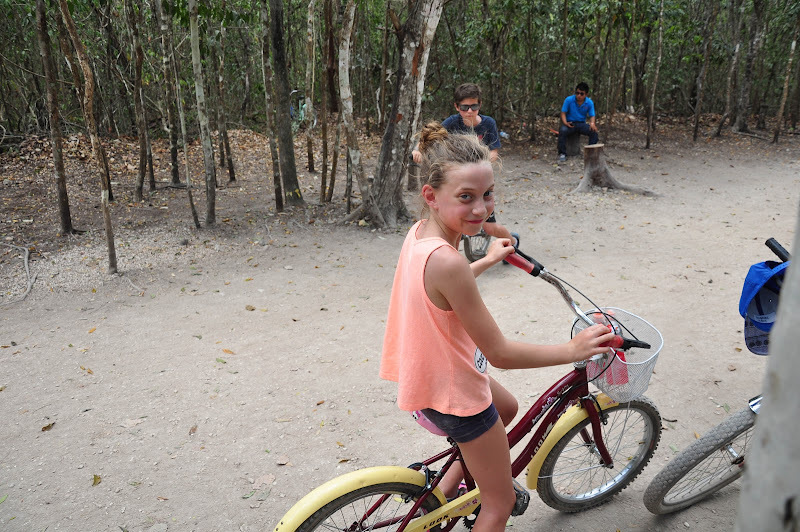 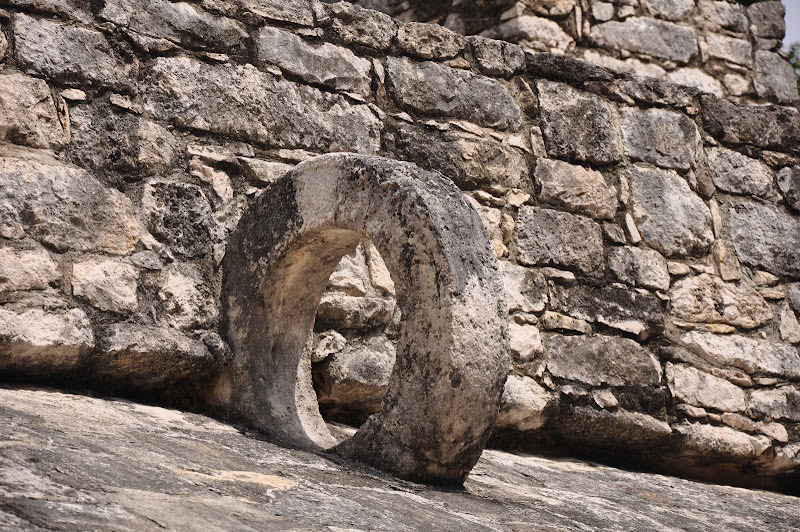 Visitors can enjoy shaded walkways that are the original sacbe (white roads), three settlements that show the architecture and vast area of this once large city, 2 ball courts and climb the highest Mayan pyramid in the Yucatán, Nohoch Mul. 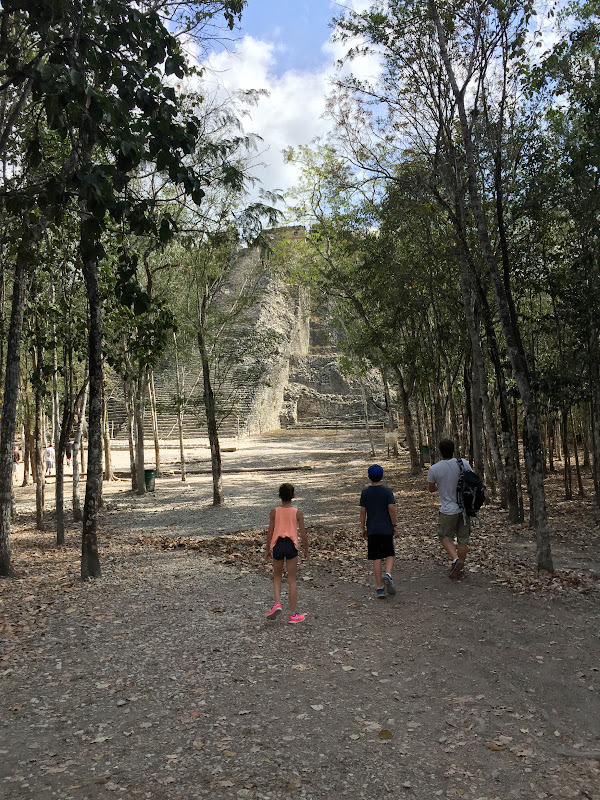 Arriving at Nohoch Mul Pyramid - A 42 meters tall (137 feet) pyramid that boasts a remarkable view of the Yucatán and non-public areas of Cobá including both lagoons; Macanxoc Lagoon to the east and Cobá Lagoon to the southwest. 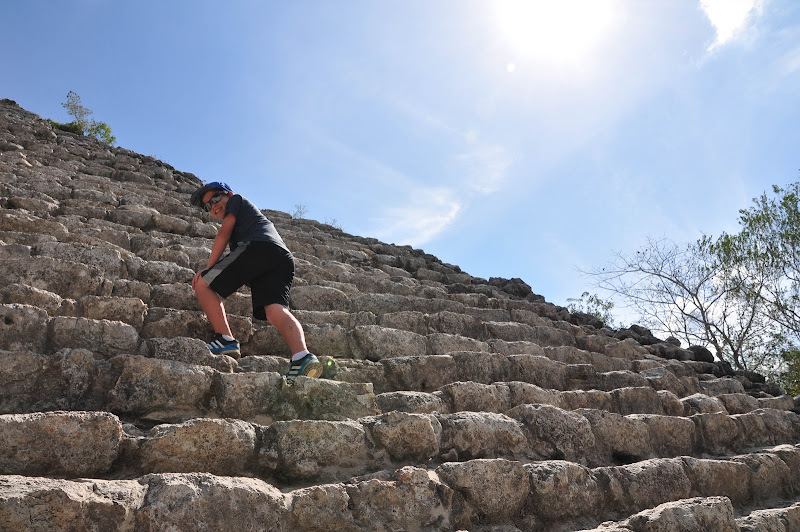 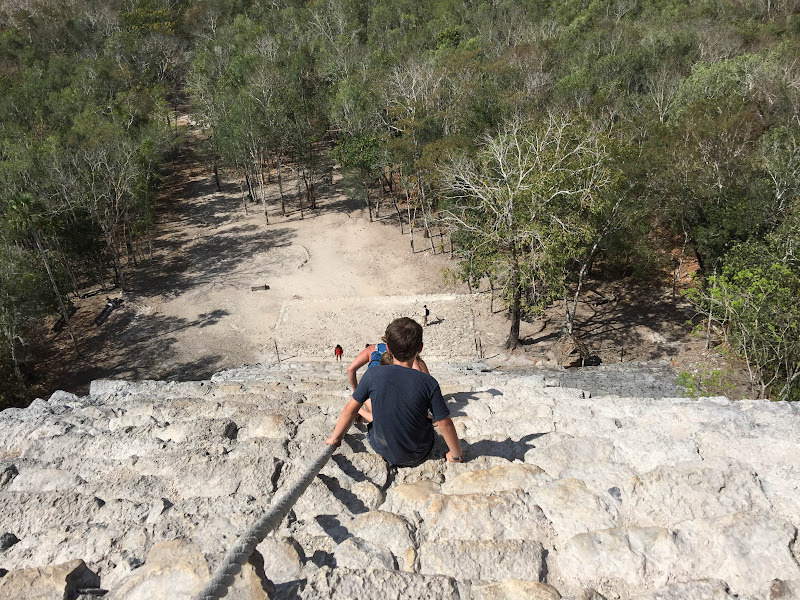 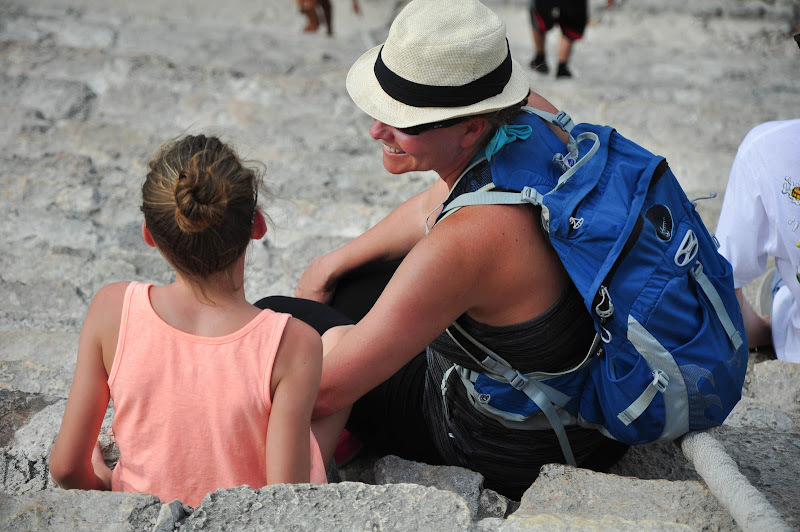 Unlike Chichen Itza's Kukulkan Pyramid, Nohoch Mul is still open for the public to climb its 130 steps up to the top of the site. 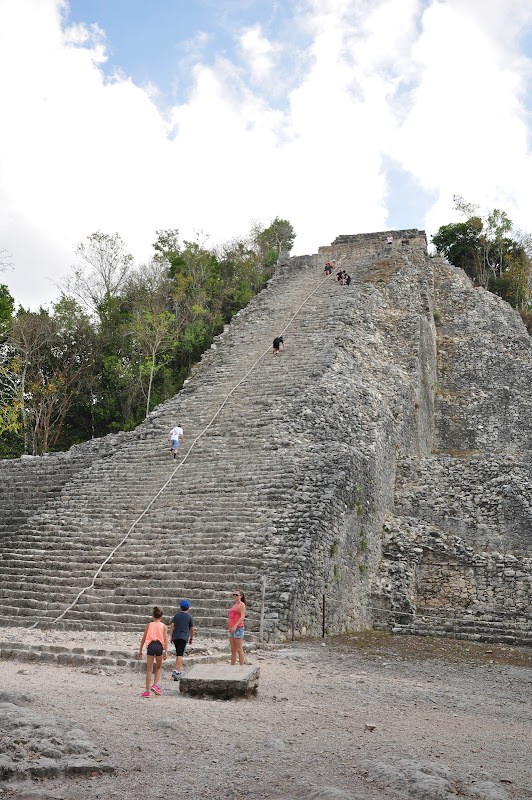 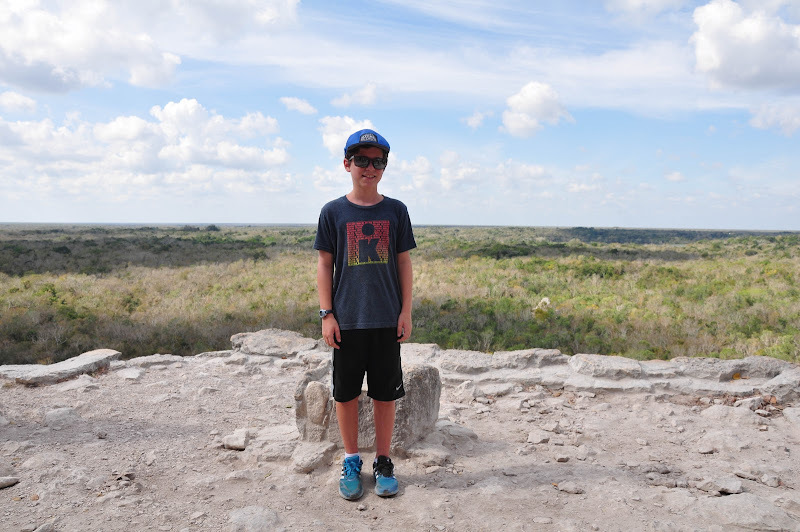 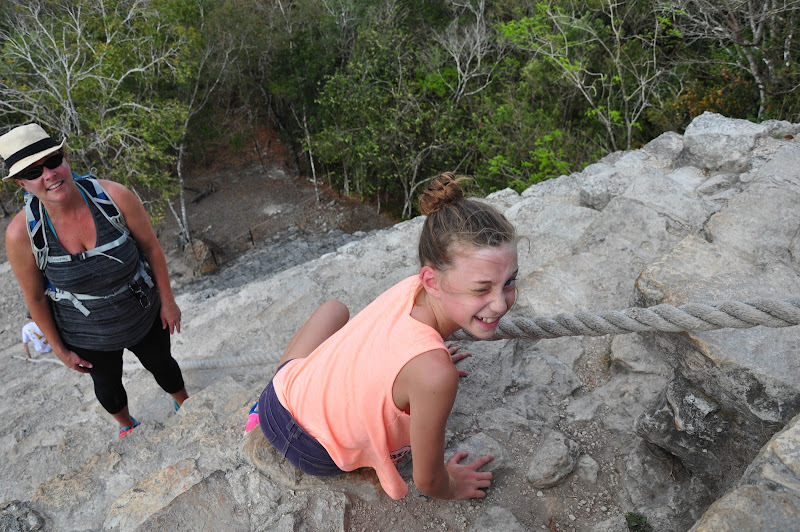 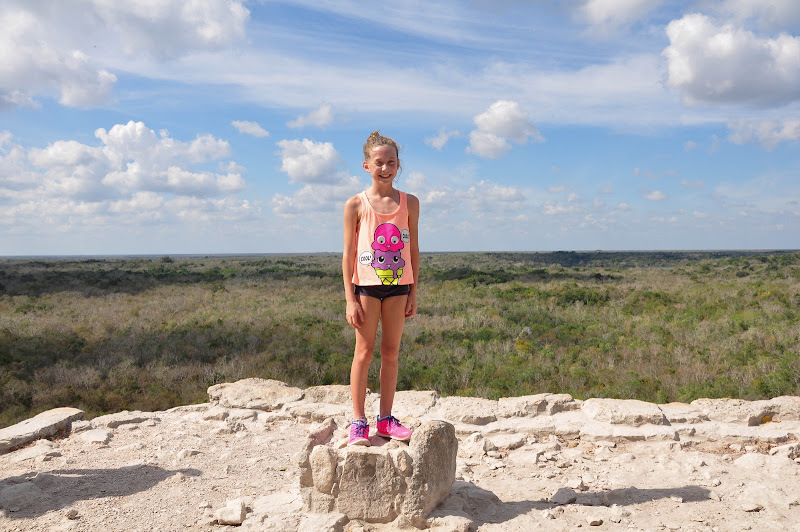 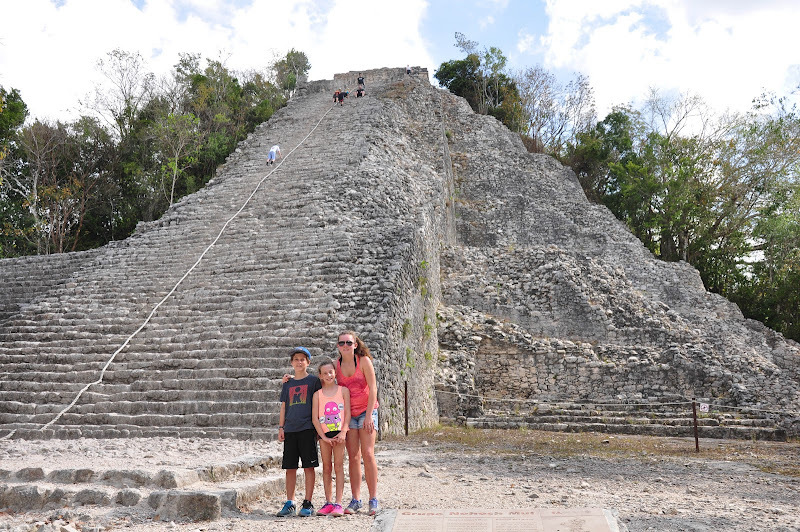 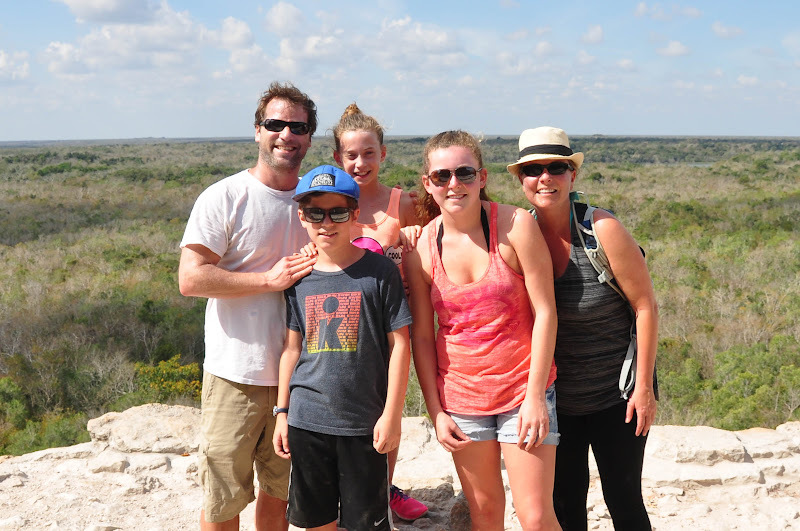 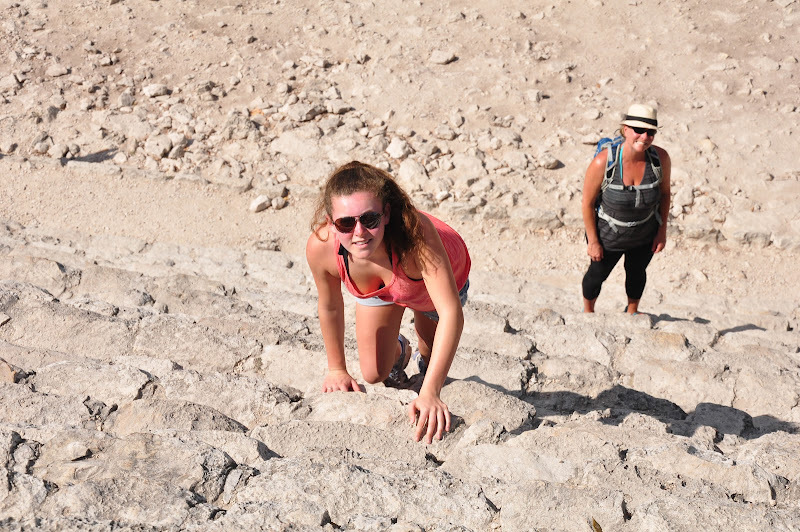 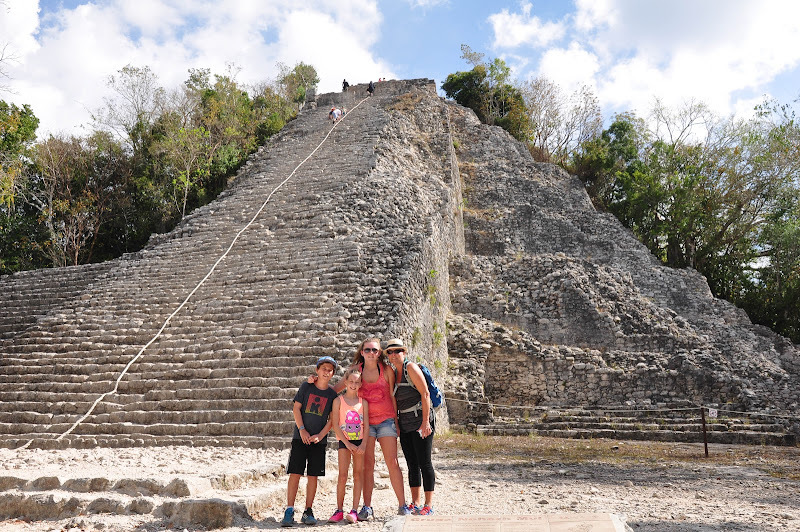 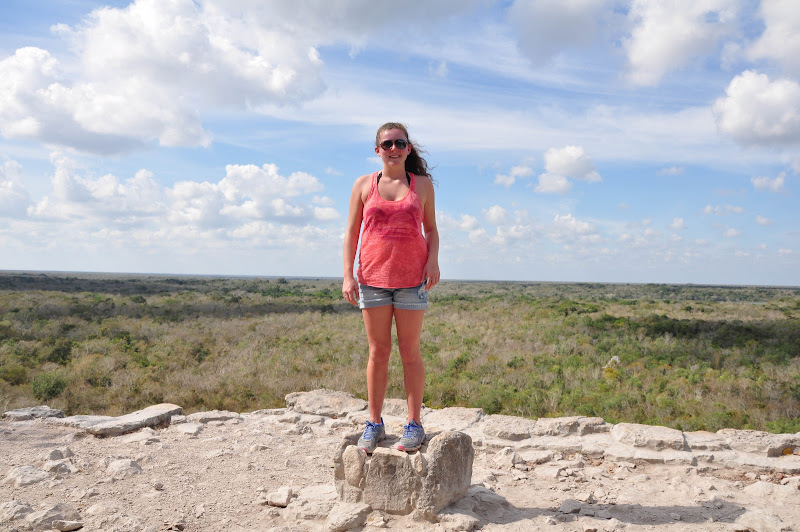 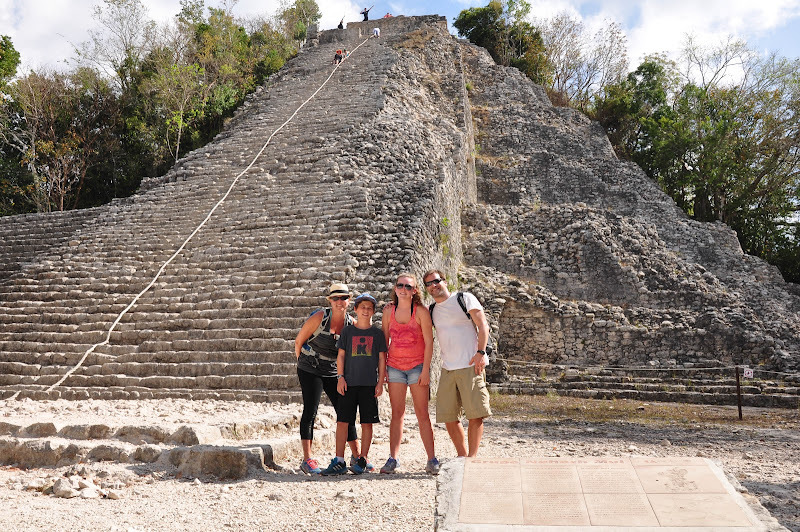 120 steps lead up to the top of the Nohoch Mul pyramid, and reaches 137 feet in height. 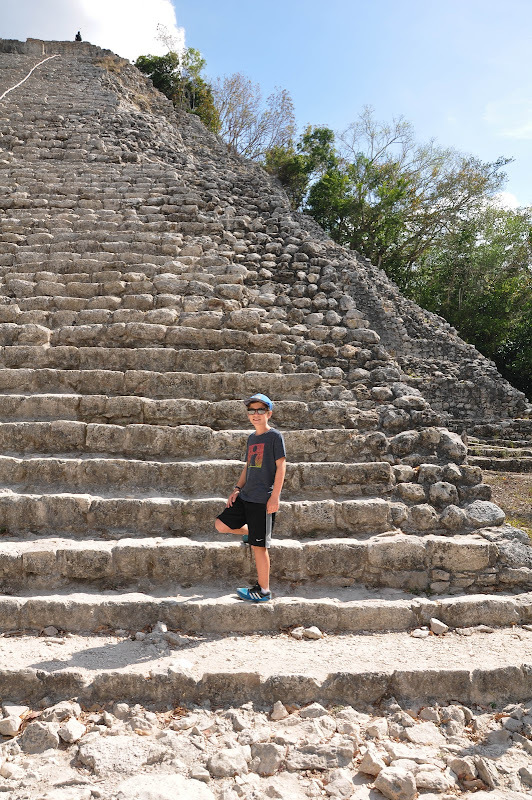 This is the tallest temple pyramid on the Yucatan Peninsula. 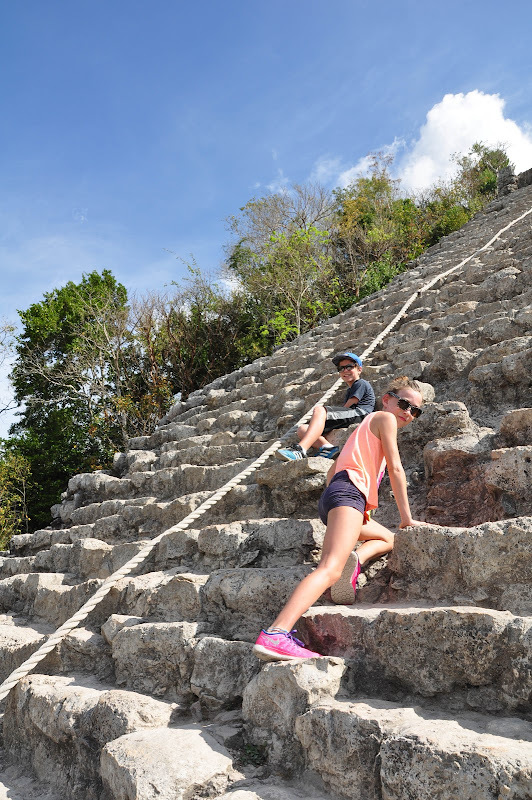 Chichen Itza has 91 steps leading up to the top of the Kulkulkan Pyramid. 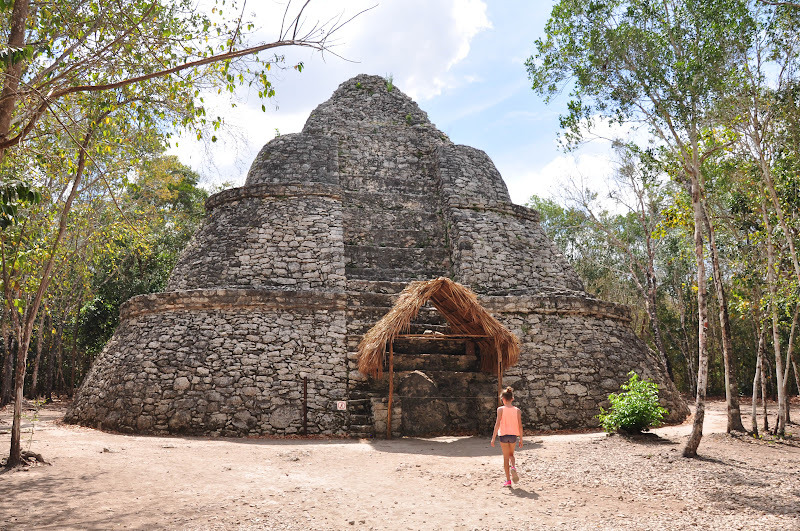 When Cobá was a functioning centre more than 1,000 years ago, it is estimated that 50,000 people lived here in an area of 80 square kilometres. 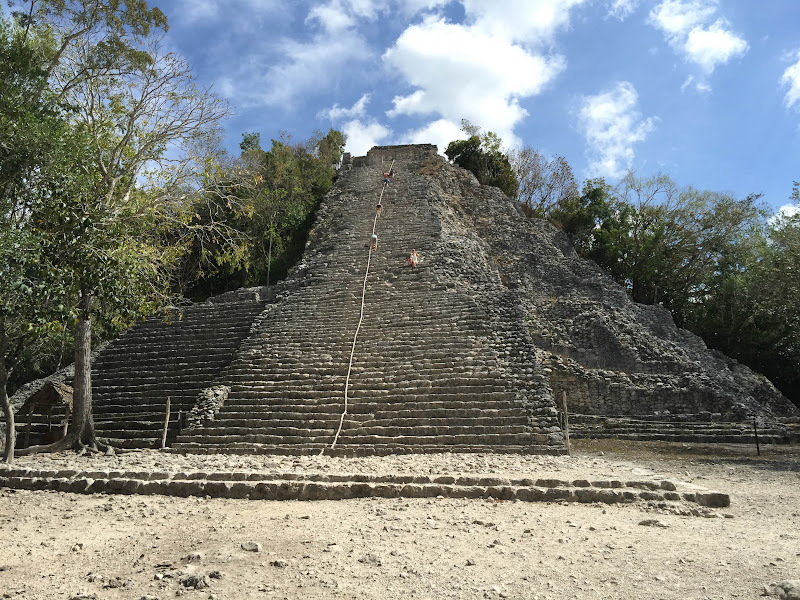 Only a fraction of the structures that existed then have been cleared of the dense jungle cover (for example, the back half of the Nohoch Mul pyramid is still covered in jungle).